Cognitive behavioral therapy is known to help people who want to recover from mental health illnesses like depression and anxiety disorders. Cognitive behavioral therapy (also called “CBT) works to target unhealthy thoughts and negative feelings so they can be dealt with more effectively. What some people do not know is that cognitive behavioral therapy can also be used to treat mental health disorders in children and teens. CBT is generally a good treatment option for adults and children alike. An article written by a doctor describes the various methods of treatment for children who have some form of an anxiety disorder. The piece was prompted by a concerned parent of an anxious child who wanted to know what his or her options were for helping the child to live a healthy life. 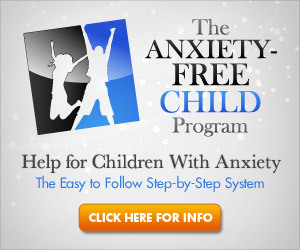 The doctor who answers the question goes on to describe a number of popular treatment options for anxious children. CBT is just one of the approaches a therapist can take to treating anxiety. Sometimes cognitive behavioral therapy is combined with other forms of treatment for people who have more severe anxiety. This is also done for some people who suffer from severe depression, who can be prescribed medication while they are receiving therapy.